The Hare Traction Splint has defined the industry standard for field treatment of a fractured femur. Historically the absence of pre hospital treatment of fractured femur has led to undesirable nerve and vascular complications. The Hare Traction Splint realigns bone ends to the proper position to reduce pain and restore blood flow and to minimize the risk of further damage to nerves or tissue. 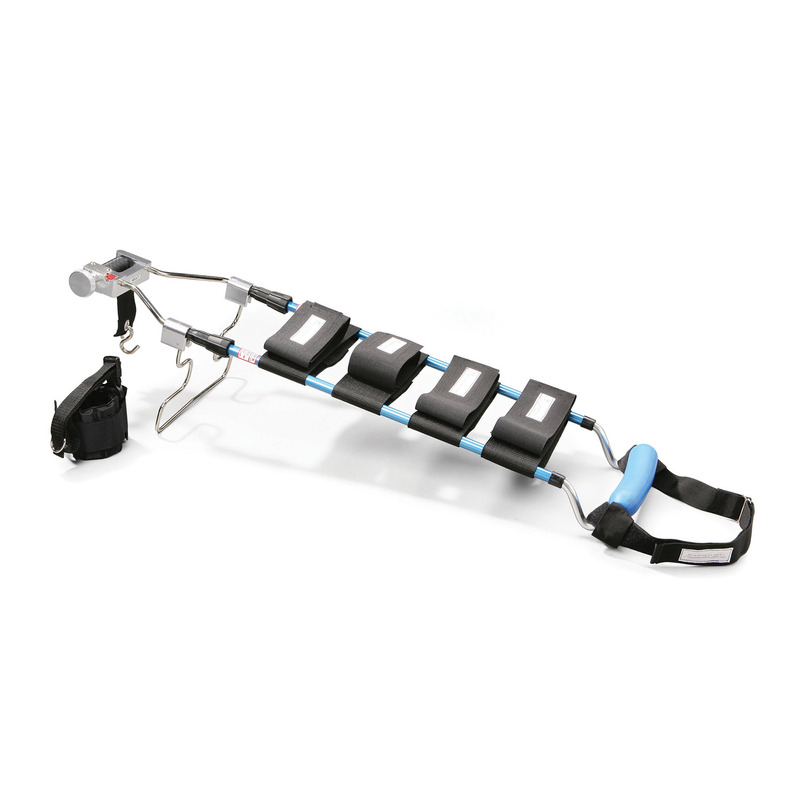 Enhancements to the Hare Traction Splint include the ability to rapidly set the splint length with improved collett locks, a larger traction knob for better grip and control, the ability to adjust traction with one hand, and a recessed traction release button to help prevent accidental release. The splint is available in clearly labelled ADULT and PAEDIATRIC sizes. Is it a world record? Hare Traction Splint Copyright © 2019.